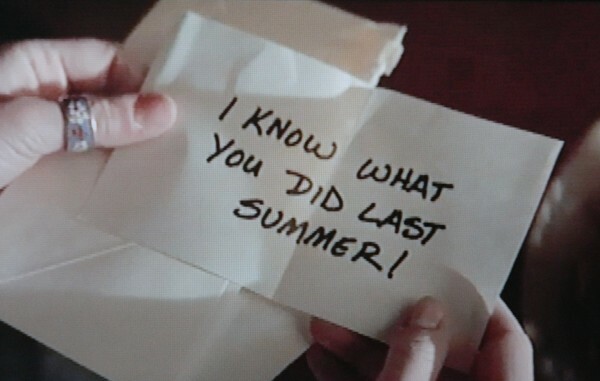 I saw a rerun of the classic slasher I Know What You Did Last Summer. The low-budget slasher film starring Jennifer Love-Hewitt, Sarah Michelle Gellar, Freddie Prinze Jr., and Ryan Phillippe was about four friends who are being stalked by a killer, one year after covering up a car accident in which they were involved. They thought they had killed him and then hid the body. The killer starts leaving messages…I know what you did. So, in my annual Halloween article I thought I would write about how we all cover up what we do with our money every summer! I know you overspent on your vacation. I’m guilty of this one too. There have been times where I got caught up in the “magic” of a nice vacation and said, “what the hell” I’m creating a memory, right? Unfortunately, the credit card bill arrives or you just see the depleted savings after all that magic wears off. One way to stop the expensive vacation stalker is to create a savings account and a budget for your vacation. That way you know in advance how far you are willing to go. I know you overspent on kids activities. Guilty again. Lots of kids sports carry over into summer. Whether it’s baseball, cheer or some camp to hone their skills for the fall, it’s always something. My advice is limit one sport or camp per child per summer. It will give them something to do outdoors and won’t bust your wallet. I know you didn’t stock up on summer sales. My wife does this every year. I’m not sure why this drives me crazy. I guess buying something that I cannot actually enjoy wearing another six months may be it. It’s a good idea to stock up on summer sales. If you know it’s something you will use or wear and you can get significant savings, go for it. Just don’t leave any sales on the side of the road to haunt you later. I know you didn’t do your mid year financial check up. It’s really important to assess your spending and savings habits at the half way point. That way you can make some adjustments before fall and the holidays. If you planned on increasing savings then get on it. If you have spent way too much, then create a budget and some spending guidelines. It gives you six months before the new year to hit some goals. Don’t become a victim next summer to these financial stalkers. Do some planning early and decide once and for all you’ll beat the summer money slasher! If you liked my article you can subscribe here for free! Happy Halloween!